Nestled in a private, wooded area of the property, our Sanctuary provides a peaceful space for prayer, community, and fellowship. 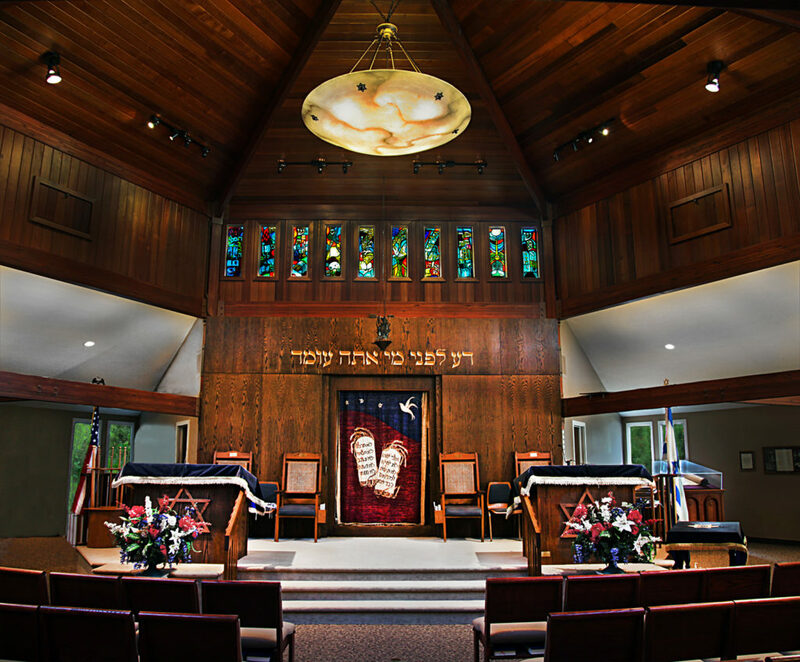 Our Sanctuary reflects our history and the history of the Jewish people. For example, we care for two Holocaust Torahs.